From elegant and sophisticated to laid-back and artsy, South Granville is “unpretentiously upscale”. 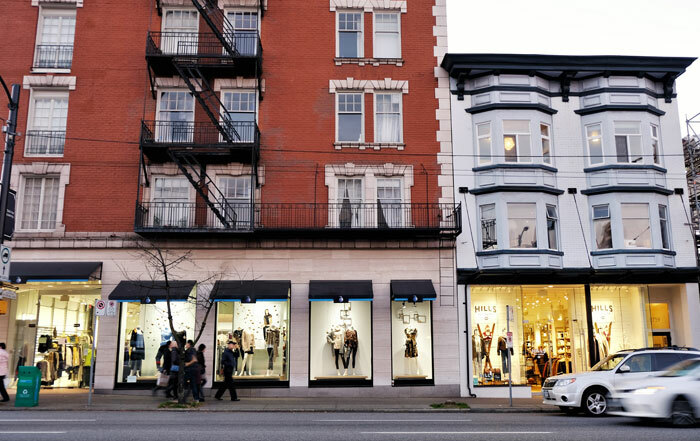 Centrally located uptown from the south end of the Granville Street Bridge to 16th Avenue, Vancouver’s stylish South Granville neighbourhood boasts some of the best lifestyle experiences in town. Whether you’re new to the city or are simply in the mood to explore, there’s plenty to see and do in South Granville. 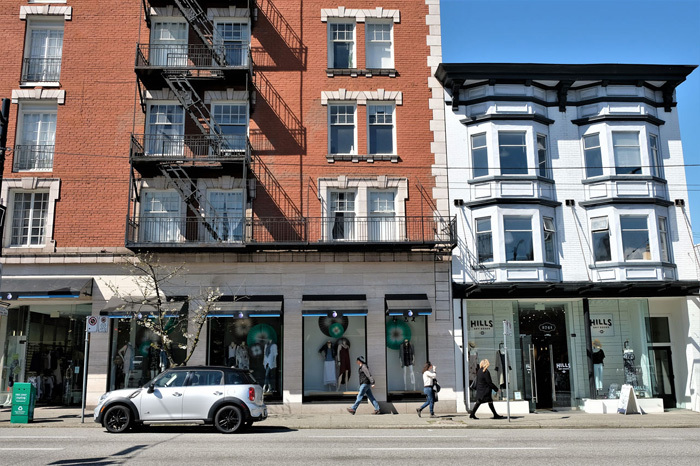 South Granville is home to Vancouver’s most on-trend boutiques. From fashion house rarities to local designers, choices are a aplenty no matter what your style is. 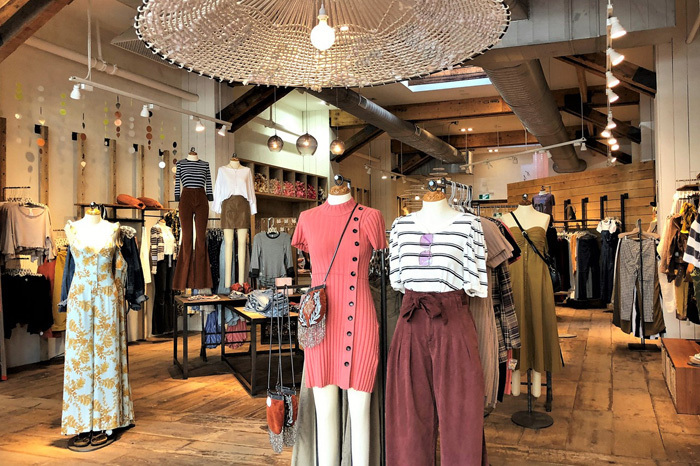 The neighbourhood is much different from mainstream shopping areas, with many independent, local boutiques situated alongside national/international branded shops, South Granville lets you browse one-of-a-kind fashion and worldwide trends. There are even luxury consignment shops that let you buy your dream outfit at a fraction of the price. Whether you’re searching for the latest trends from the runways of Paris, Milan and New York or are the hunt for something more practical and down-to-earth, South Granville is sure to have what you’re looking for. You can view all of the neighbourhood’s best fashion boutiques HERE. South Granville is a foodie favourite! The area features a diverse group of restaurants, including Vij’s Rangoli, Jamjar, West Restaurant, Fiore Restaurant, The Rise Eatery, Cheesecake Etc., Ouisi Bistro, Bin 4 Burger Lounge, Cafe Barney, The Marquis, Heirloom Vegetarian, Stable House Bistro, Kyo Korean BBQ House, and Paul’s Place Omelettery. 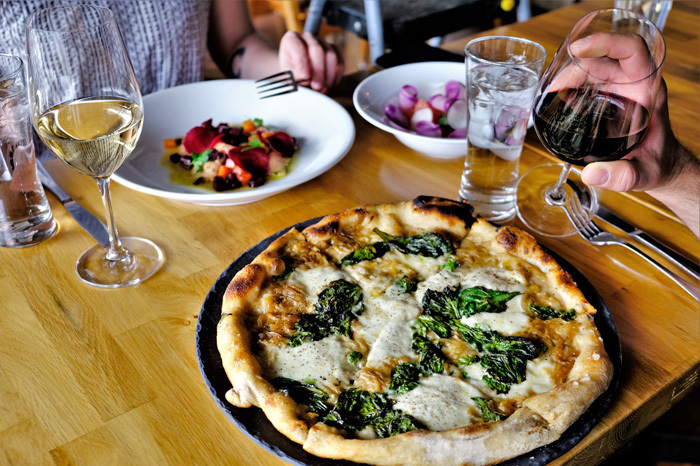 With everything from upscale international dishes to organic green juice in just a few short blocks, South Granville is definitely one of the city’s best food destinations. If you’re in need of a little “me time” then look no further. In addition to being home to a variety of wellness stores, complete with every ointment, massage oil and spa service you could imagine, South Granville is also home to Canada’s first Hammam Spa. A place of cleansing and healing for both body and soul, Hammam spas practice traditional Middle Eastern treatments and offer ornate steam rooms that will make you feel like you’re millions of kilometres from home. Vancouver loves coffee, but South Granville might love it the most. 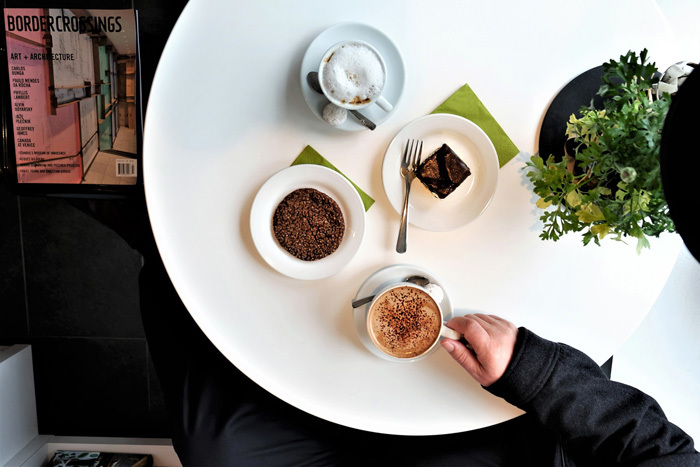 With mainstream favourites and a ton of independent cafes roasting beans locally, it’s truly a coffee lovers dream. 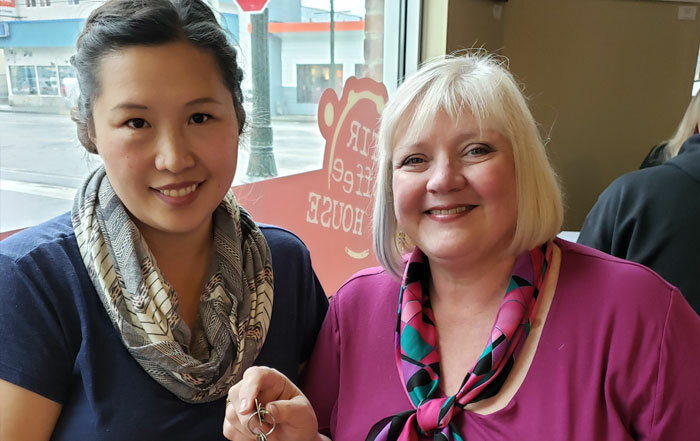 Be sure to check out Bump ‘n Grind, Dose Espresso Bar, Trees Organic Coffee, Phoscao Cafe, Bean Around the World, Meinhardt Fine Foods, Heirloom Juice, and soon to open Small Victory. There’s also a cafe inside Goodge Place and Le Creuset! If you want to take in the beautiful summer weather but prefer to avoid the season’s tourist crowds, South Granville is the place to be. 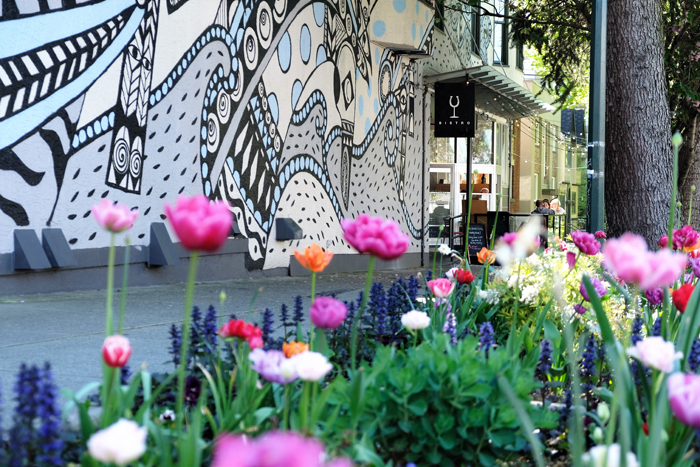 Perfect for taking a stroll, the chic neighbourhood is home to several popular outdoor murals, not to mention a beloved landmark and sculpture of Emily Carr and Friends, by Canadian Sculptor Joe Fafard. There are a few of these sculptures, each placed in an area of significance across Canada. Finding that perfect hole-in-the-whole jazz bar is any urbanites dream, unfortunately they tend to be extremely hard to find. Fortunately, Vancouverites have been enjoying Ouisi Bistro for over twenty years. As the city’s original New Orleans restaurant, Ouisi has been serving up soulful plates of southern food in addition to excellent live jazz. When you see how many design and décor brands South Granville has, you’ll understand why so many people come here to shop for their homes. Here you’ll find the only B.C. 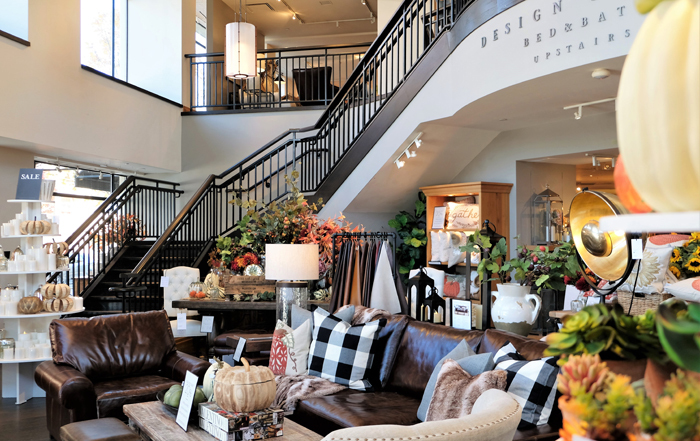 location of many high-end brands, such as Williams Sonoma, Le Creuset, Pottery Barn, Restoration Hardware and independents like Atkinson’s, Bacci’s at Home and Industrial Revolution. 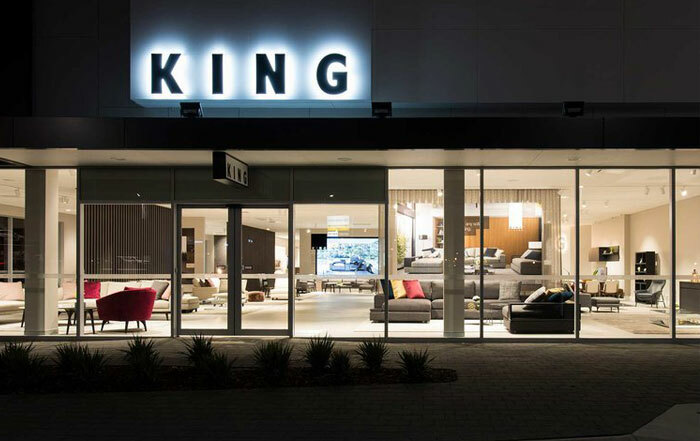 You can view all the neighbourhood’s home decor stores HERE. 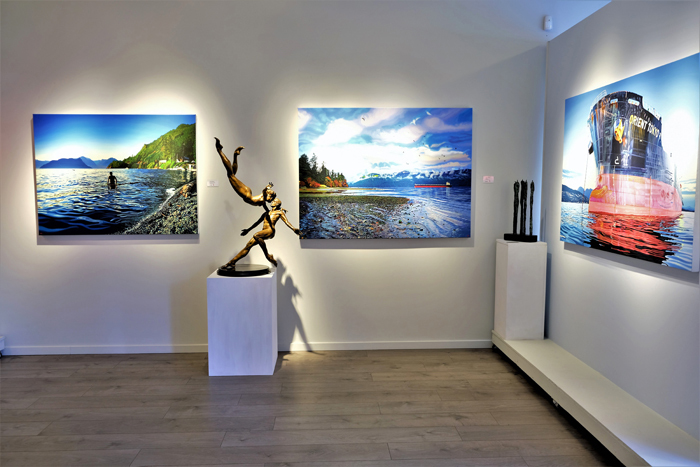 Calling itself home to the city’s largest collection of fine art galleries and art dealers, South Granville is a hub for creativity and artistic vision. The neighbourhood’s “Gallery Row” contains some of the city’s best galleries, which you can view HERE. Built in 1931, the Stanley Theatre was a mainstay of popular cinema in the early days of Vancouver. 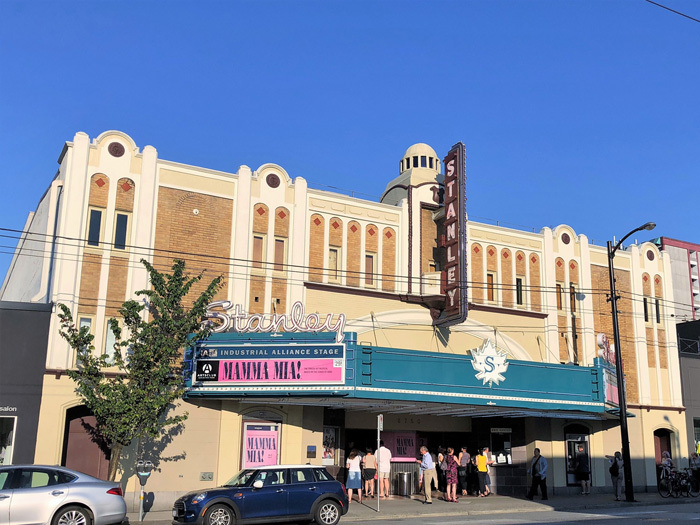 Now, the Stanley Theatre serves as a stage for the Arts Club Theatre Company, known as the Stanley Industrial Alliance Stage, who host and produce large musicals, classics and productions from around the world. South Granville has always been a desirable destination. Prior to the Granville Street Bridge Vancouverites would row across the water just to pitch their tents in what was then a pristine forest. It took only a century to grow from these humble beginnings into one of Vancouver’s premier shopping and cultural destinations. 1907 marks the unofficial birth year of the neighbourhood, when Richard Marpole drew up plans for Shaughnessy Heights, the Canadian Pacific Railway’s newest subdivision. With some of the city’s most beautiful old architecture still in tact – a great example is Douglas Lodge (circa 1912), South Granville is a great place to experience over 100 years of Vancouver at its finest. Visit South Granville for the lifestyle your love! Check out Vancouver Is Awesome for everything that makes our city awesome.